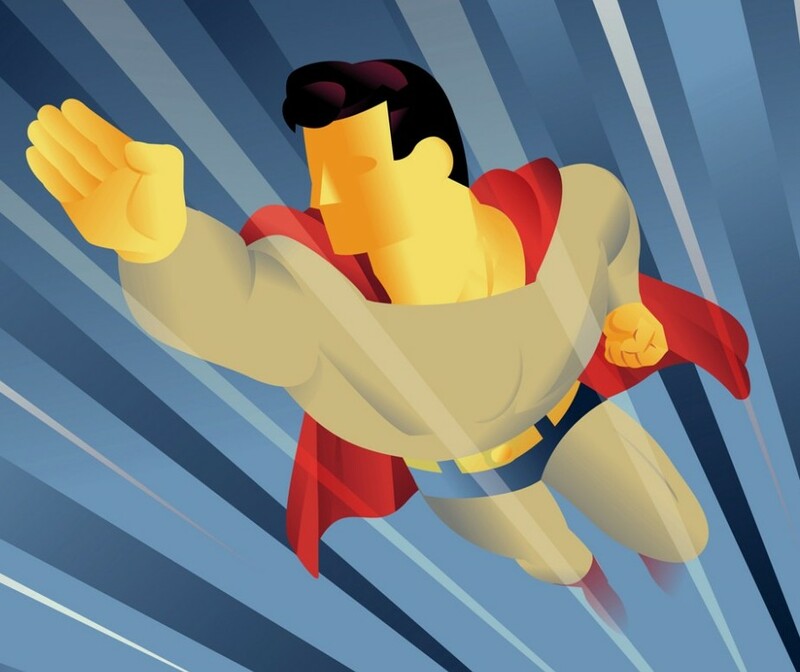 April 2014 – Teach Like a Superhero! This month sees the release of Secret Origins #1 by DC Comics, and you can read more about it here and see what people have to say about it here. 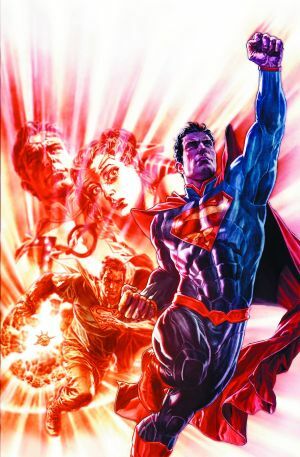 DC has published versions of Secret Origins before, and the purpose is to explore and explain the beginnings of superheroes and villains. Featured characters range from iconic to obscure. 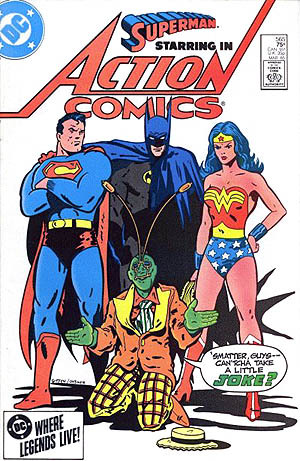 So if you want to know how Ambush Bug got his start, here’s your chance! Origins typically contain two essential ingredients: 1) How you get your powers, and 2) What is your motivation? The same two pieces of an origin story apply to teachers, as well. 1) How did you get your powers? Maybe you weren’t bitten by a radioactive spider or trained in the mystical martial arts of K’un-Lun, but I bet you’ve got something that makes you special. Most of us licensed teachers have received professional preparation of some sort. Many earned our teaching credentials after completing a bachelor’s degree in education, often with a specific subject endorsement. Other non-traditional routes include “fifth year” programs as well as an assortment of alternative licensure options for college graduates who already have degrees in something other than education. In the latter case, individuals often complete formal teacher education coursework while at the same time teaching full-time in schools. Outside of formal preparation, many of you also learned about teaching through other means. Maybe you have a teacher as a close family member or friend, or perhaps you’ve experienced teaching through various activities like sports, church, hobbies, and more. You got the bug, so to speak, and you wanted more. That leads us to the second part of origin stories . . .
Getting powers is not enough. A lot of people have skills but waste them or use them in selfish ways, just like a lot of super-powered characters. Every good teacher needs not only special abilities, but also a special heart and passion for the classroom and beyond. Many of us got into teaching because we love learning and want to share that joy with others. We want to make a difference in the lives of kids and their families. Hopefully you didn’t go into teaching because of a so-called “summer vacation” or because you thought your workday would be 8:30 to 3:30. If either of these were reasons you entered the profession, you probably learned that teachers put more total hours in the school year than most people do in 12-month jobs. You can learn some other important statistics about the teaching career here. Unfortunately, origin stories sometimes reveal an individual’s weaknesses as well as their strengths. For example, Superman’s not a fan of green kryptonite, which came from the blown up bits of his home planet. And Iron Man sometimes likes to hit the bottle, thanks to the fast life of his alter ego Tony Stark. Secret Origin . . . Revealed! I’ve always liked school. I like to learn. I’ve had some great teachers in my family and in my schools, so it’s probably no surprise I pursued teaching as a profession. The first year was tough—it always is—but I got better. Teaching is hard work, but it is worthwhile and can be a joy, even on the tough days. You stick with it and each year usually gets easier. How else did I improve? I learned the intricacies of my subject matter (science) to know how concepts were connected, what analogies illustrated tough ideas, and what activities gave the best opportunities to clearly master content. I also learned about my students: what motivates them, what strengths and weaknesses they possess, and how to strike a healthy balance between firm and easy when it comes to classroom management—something that can never be overestimated. But here’s where my “secret origin” reveals some of my weaknesses. I like school. Many students don’t. 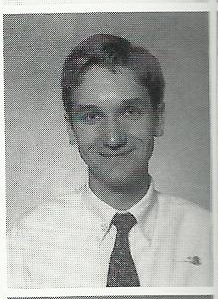 For the most part, I was a “goody-two-shoes” throughout school. Some of my students actually thrive on creating classroom chaos. So I have to overcome my nice guy tendencies and be ready and willing to draw the line when it comes to discipline. It’s not easy, but it has to be done. I enjoy science. Some students fear it. When I was a kid, I found satisfaction in filling out worksheets and completing exams. I was weird. A lot of students greet homework with hostility and suffer test anxiety. So as a teacher, I have to reduce resistance in my students before I can open the doors to learning. And it starts with me. I can’t assume my students are just as eager to come to class and learn about electron configuration. I have to find out what motivates them and how I can connect concepts to their lives and interests. In a way, I have to learn the secret origins of every student. I hope this post has helped you reflect on your past and consider how it can impact your future. Do you have special training? Hidden talents? A passion that can only be served by teaching? How did it all begin? Please post a comment and share why and how you became a teacher. Your story doesn’t have to involve radioactivity. But it’d be cool if it did. 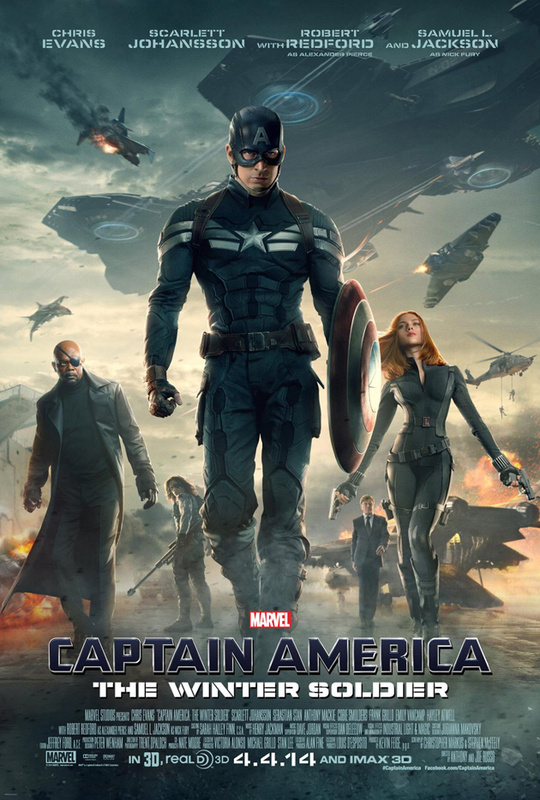 But what I have seen is co-star Anthony Mackie (a.k.a. The Falcon a.k.a. A Younger Will Smith) making his memorable appearance on The Tonight Show with Jimmy Fallon a few days ago. All teachers should see this clip, too, and take away some of the actor’s enthusiasm. Watch Anthony Mackie egg on Bill O’Reilly at the 1:00-minute mark, and then look for the main event around 3:25, in which the actor explodes with energetic commentary of his own movie clip. Try something like this the next time you show a video in your classroom. Maybe tone it down a notch, so your students can actually hear important information. And don’t curse. But don’t lose that sky-high excitement!